LEISER, SIMON, businessman; b. 9 April 1851 in Kerpen (Germany), eldest of the seven children of Moses Leiser and Henrietta Lenz; m. c. 1873 Caroline Lenz, and they had five daughters and one son; d. 12 May 1917 in Vancouver. As there was scant opportunity for a young Jewish man in his home town, 17-year-old Simon Leiser was apprenticed to an uncle, Jacob Lenz, in the Wisconsin Distilling Company of Madison, Wis. Lenz had warned: “Gentlemen you only find in Germany. Here you have to work hard.” Leiser did not disappoint him. He arrived in July 1868 and within three years was managing two stores and the Chicago office of his uncle’s business. Shortly after, he married Lenz’s daughter. In 1873 the young couple headed to the Pacific northwest to seek their fortune. At Victoria, Leiser and a partner opened a coffee and spice shop, but he was not content to remain sedentary. A prospector had discovered gold in the remote Cassiar district, and in 1874 Leiser obtained a contract to build a trail from the head of navigation on the Stikine River into the gold diggings. He was entitled to collect a toll of two cents a pound on freight that passed up the road. With his father-in-law, who had followed him to Victoria, he also established trading posts along the way. As well, he entered partnership with the Victoria merchant Henry Gerke as a general trader. Late in 1875 he was being assisted in that business by his brother Gustav, recently arrived from the old country. On 14 March 1878 the partnership with Gerke was dissolved and thereafter the operation was conducted under the name of Simon Leiser. In 1880, when the Cassiar gold was playing out, Leiser returned to Victoria and set up as a wholesale grocer. His business became Simon Leiser and Company in 1894. As the population and economy of the province grew, the enterprise prospered, opening branch stores in such coalmining towns as Ladysmith, Wellington, and Cumberland. Called the “biggest firm of its kind in the Province,” it did business as far east as the Kootenays and north into Alaska. It became purveyor to the Klondike gold-rush, handling miners’ supplies and a “large proportion” of the food shipped north. Symbolic of the company’s success was its large brick warehouse on lower Yates Street, built in 1896. Simon Leiser also engaged in the sealing industry, operating the schooner Wanderer in north coast waters until June 1894, when it and the Favorite were seized by the United States government. He later was on the board of the Victoria Sealing Company. As his wealth and social status grew, Leiser became a civic booster and philanthropist. He was responsible for organizing the Victoria and Island Development Association. 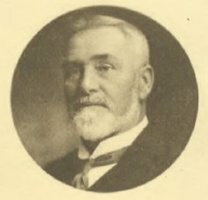 Serving on the council of the Victoria Board of Trade for 15 years, he became vice-president in 1907 and then president for two terms. In these capacities he was influential in securing a large federal appropriation for the improvement of Victoria Harbour and in the building of the Grand Trunk docks and the Empress Hotel. He was on the board of the Royal Jubilee Hospital and was the prime mover in the Victoria Opera House Company, which promoted and built the 1,200-seat Royal Victoria Theatre. When the theatre opened on 29 Dec. 1913, Leiser addressed an audience of Victoria society headed by Premier Sir Richard McBride. On 7 May 1915 the Cunard liner Lusitania was torpedoed by a German submarine. The consequent loss of 1,198 lives, including that of James Dunsmuir Jr, caused great anger throughout North America. A mob in Victoria vandalized businesses bearing Germanic names, among them Simon Leiser and Company, notwithstanding the fact that Leiser had been a naturalized British subject for 23 years and that James Dunsmuir was a stockholder in the company. While visiting Vancouver in 1917, Simon Leiser died suddenly of a brain haemorrhage. A member of Temple Emanu-El and Vancouver-Quadra Lodge, he was buried with Hebrew and masonic ritual at Victoria’s Jewish cemetery. His business was sold to the wholesale grocers Kelly Douglas and Company Limited. The Leisers’ home on St Charles Street, designed by Samuel Maclure*, is today a Victoria heritage house. A collection of Leiser–Lenz letters, with translations from the German, and a family tree are in the possession of Mrs A. L. (Dorothy) Schlesinger Jr of New Orleans, a granddaughter of the subject. Copies of this material are available in the Jewish Hist. Soc. of British Columbia Arch., Vancouver. Geoffrey Castle, “Venerable Royal Theatre survived trying times,” Times-Colonist (Victoria), 12 Jan. 1985: A4. Cumberland News (Cumberland, B.C. ), souvenir ed., 24 May 1899; 29 May 1900. Daily Colonist (Victoria), 2 March, 29 Dec. 1875; 3 April 1878; 3 Jan. 1894; special ed., April 1896; 19 Feb. 1897; 3 Aug. 1898; 7 March 1899; 30 Dec. 1913; 11 May 1915; 13 May 1917; 8 Dec. 1932: 5; 11 June 1935: 5; 15 May 1960: 15. J. [K.] Nesbitt, “Jim Nesbitt looks for bust of Simon Leiser,” Daily Colonist (Victoria), 25 July 1976: 2. Vancouver Daily World, 7 Dec. 1896. Victoria Daily Times, 12 May 1917. Directory, B.C., 1892: 1172. R. E. Gosnell, A history o[f] British Columbia (n.p., 1906). The history of Temple Emanu-El (Victoria, ). The Jew in Canada: a complete record of Canadian Jewry from the days of the French régime to the present time, ed. A. D. Hart (Toronto and Montreal, 1926). Scholefield and Howay, British Columbia, 2: 268–73. Martin Segger, The buildings of Samuel Maclure: in search of appropriate form (Victoria, 1986); This old house: an inventory of residential heritage (Victoria, 1991). Martin Segger and Douglas Franklin, Victoria: a primer for regional history in architecture (Watkins Glen, N.Y., and Victoria, 1979). Victoria illustrated; published under the auspices of the City of Victoria . . . (Victoria, 1891). Cyril E. Leonoff, “LEISER, SIMON,” in Dictionary of Canadian Biography, vol. 14, University of Toronto/Université Laval, 2003–, accessed April 20, 2019, http://www.biographi.ca/en/bio/leiser_simon_14E.html.